Media captionWhat would a war look like? 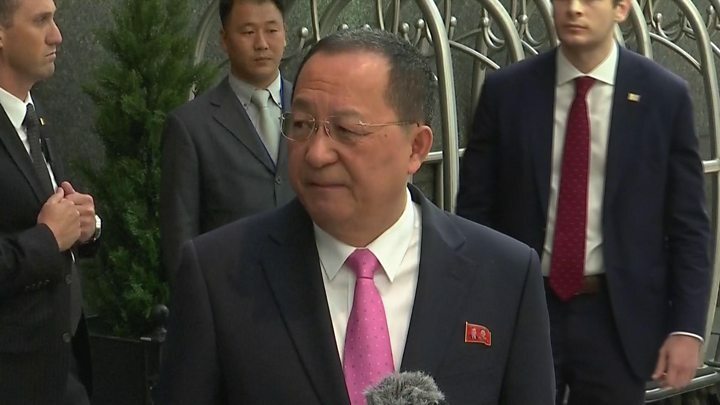 North Korea's foreign minister has accused US President Donald Trump of declaring war on his country and said Pyongyang had the right to shoot down US bombers. Ri Yong-ho said this could apply even if the warplanes were not in North Korea's airspace. 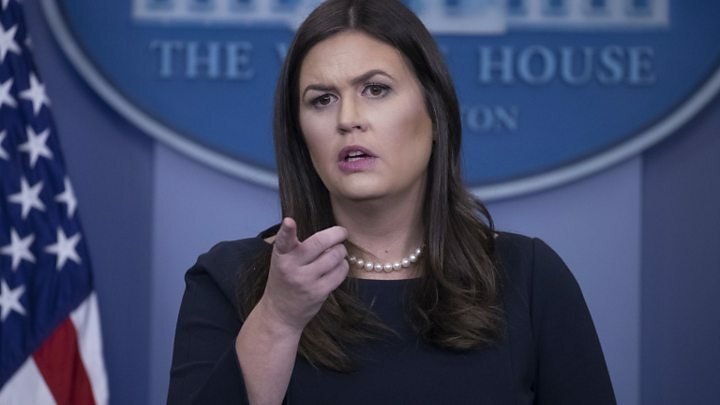 The White House dismissed the statement as "absurd". The Pentagon warned Pyongyang to stop provocations. Mr Ri's comments were a response to Mr Trump's tweet that the North Korean leadership would not "be around much longer" if they continued their rhetoric. North Korea-US tension: Should you worry? Mr Trump's tweet followed Mr Ri's fiery speech to the UN on Saturday, when he described the US president as a "mentally deranged person full of megalomania" on a "suicide mission". Referring to Mr Trump's post, North Korea's minister said "the question of who won't be around much longer" would be answered by his country. 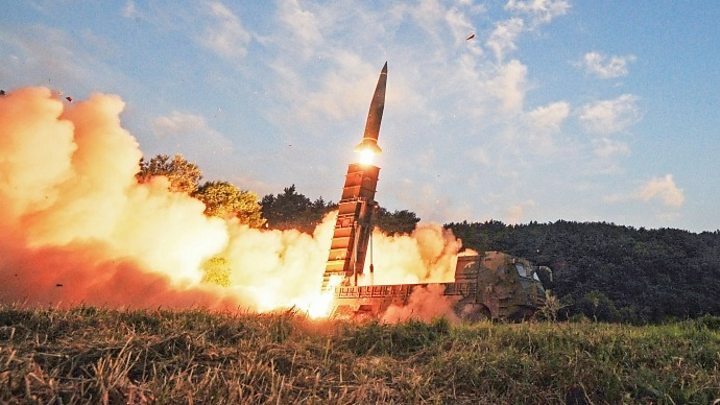 Mr Ri's remarks - not the first time that North Korea has used the phrase "a declaration of war" in relation to the US - are the latest in an increasingly angry war of words between the two countries. His statement came two days after US warplanes flew close to North Korea's coast in a show of force. Pentagon spokesman Col Robert Manning reacted by saying: "If North Korea does not stop their provocative actions, you know, we will make sure that we provide options to the president to deal with North Korea." "We want things to calm down," China's ambassador to the UN, Liu Jieyi, told Reuters. "It's getting too dangerous and it's in nobody's interest." Stéphane Dujarric, a spokesman for UN Secretary General António Guterres, said: "Fiery talk can lead to fatal misunderstandings." "The only solution for this is a political solution," he added. Media captionRi Yong-ho says Donald Trump "declared a war on our country"
What weapons does North Korea have? It should be remembered that the Korean peninsula is not at peace - the Korean conflict of the 1950s was only brought to a halt by an armistice, not a peace treaty. But it is actions that are likely to provoke renewed fighting, not just words. The latest North Korean threat to shoot down US warplanes comes in the wake of a recent US patrol that took its B1-B Lancer bombers and their accompanying F-15 fighter escorts over waters to the east of North Korea - the furthest north US warplanes have flown for several months, albeit still outside Pyongyang's airspace. The US believes it has every right to do this but if one day Pyongyang judges that these aircraft are on an offensive mission - what then?